Online Learning: "Cutting to the Chase with Email"
Cutting to the Chase with Email shows how to create a structured email and how to break structure for maximum impact. Many of my educational programs—22 standard courses and 40 nanocourses—are now available on Kaplan Financial Education, a leader in adult education. I will feature them in this and coming WORDS ON THE LINE posts. Kaplan Professional nanocourses run 10 minutes and offer 0.2 Continuing Professional Education (CPE) credits. Nanocourses are perfect for professionals who have limited time and prefer learning in short bursts. Kaplan Professional allows one year of mobile-friendly access. Crafting a Focused Email, helps you create purposeful, reader-focused email. You will learn to connect openings and closings that strike a delicate balance between what you want (purpose) and what your reader wants (audience). Count me in with anyone who says, "The ultimate goal of reading is to improve the world around you," as does Stan Skrabut in Read to Succeed. The author lives up to this conviction by detailing why and what we should read, as well as where to get the reading we need—and even how to read. In applying such a focused approach to reading, we engage in a continuum of learning, sharing, teaching, and by extension realizing personal and professional success by any definition. Skrabut achieves this formidable mission in an easily readable 256-page book by introducing how reading has influenced his life, as a child reading for adventure, as a member of the Air Force for military study, as an instructional designed and webmaster for expertise, and at other times for the sheer delight of the experience. But Read to Succeed is far from a bibliophile's autobiography. It examines the reading proclivities and objectives of world leaders from Washington to Obama, military commanders such as Patton, Mattis, and McChrystal, industry titans like Edison, Gates, Cuban, and Zuckerberg, and entertainers including Oprah Winfrey and Dolly Parton. What made them attain and maintain success? Undoubtedly, reading, Skrabut asserts. From this groundwork, the book unfolds into a veritable how-to for establishing a useful library, mining the internet for helpful resources, and, most importantly, creating a purposeful reading world. 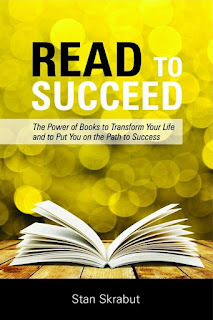 Read to Succeed is a practical working person's version of two classics: Mortimer J. Adler and Charles Van Doren's philosophical How to Read a Book and Harold Bloom's scholarly How to Read and Why. In insisting that reading can change the world, Skrabut very well might change yours. I remember wondering whether poetry can matter anymore when I came across Dana Gioia's "Can Poetry Matter?" (The Atlantic, May 1991). The essay gave me a lot to think about, and it gained him considerable recognition. It places poetry in a purgatorial state within American culture and calls for concrete actions that arts program administrators, teachers, and poets can take to rescue poetry from the analysis paralysis of academics. The most serious question for the future of American culture is whether the arts will continue to exist in isolation and decline into subsidized academic specialties or whether some possibility of rapprochement with the educated public remains. The first proposition is 15 words, and the second is 10. The first is structured in subject-verb order (arts + will continue), and the second suspends the subject (possibility) and verb (remains) between two prepositional phrases. The first begins with a field (the arts), and second begins with a supposition (some possibility). The first ends with a noun (specialties), and the second ends with a verb (remains). I often urge writing students to seek balance, or parallelism, in their writing, but here Gioia aims for opposing, clashing models, so he uses an asymmetrical arrangement to achieve his desired effect. Social animals tend to keep at a particular thing, generally something huge for their size; they work at it ceaselessly under genetic instructions and genetic composition, using it to house the species and protect it, assuring permanence. The use of a semicolon. A period would do here, but Thomas wants to urge readers on as he extends his point about instinctual perseverance. The repetition of genetic. Since the social animal is his theme, he wants to emphasize that we have little choice in our disposition toward building, shaping, reinforcing, discarding, and rebuilding. The reverse order of instructions and composition. Chronologically speaking, we would think that we are composed before we are instructed, but this point has little value to Thomas, who chooses a hierarchical arrangement of those ideas. Indeed, he is thinking of instructions not as the receipt of a list of commands but as a set of reflexive behaviors. The suspension to the last two words of the critical point. By the time we get to the first comma, we have the complete thought, a sentence unto itself. Then Thomas holds out on us for 26 words the arguably two most important qualifying words in the sentence, assuring permanence. In doing so, he creates two reading pleasures: rhetorical positioning, by explaining what he means by keeping at a particular thing, and dramatic suspense by concluding the means with the end. You can read "Social Talk" and many other exceptional essays by Thomas in his 1974 book, The Lives of a Cell: Notes of a Biology Watcher. He was born a year after Robert Frost, in 1875, a little too soon to be a young modernist, and the dissimilarity between his work and Frost's is so great that the fact does not help anchor for me a sense of his life. Hass devotes the next 41 pages of the essay to discovering more deep insights—for himself and us—into the artistic genius of this lyrical poet from Prague. In using such a technique, I would caution writers to profess a lack of knowledge about a topic that someone in their position would not be expected to know. An IT engineer is not admitting to much if he professes an ignorance of art history, but we would be inclined to read his proposal if he wrote that he doubts the reliability of a widely used analytics formula. Similarly, few of us would assume that an American medical doctor would be expert on Venezuelan politics, but we would be all ears and eyes if she wonders whether a commonly accepted therapy is highly overrated. I began my first novel before that snow had melted; it is a book called Lie Down in Darkness, and in tone and style, as any fool can see, it is profoundly indebted to the work which so ravished my heart and mind during that long snowfall. A semicolon not for balance but for speed. The left side of the semicolon includes 10 words while the right side includes 38, an imbalance that defies standard use. Styron uses it not for symmetry but to move on the reader quicker than would a period. An apparently unnecessary reference to a famous book. Styron mentions his book Lie Down in Darkness neither for self-promotion nor for an uninformed audience—only an informed audience would read this essay—but to humble the book's stature in contrast with All the King's Men. A colloquial reference that breaks the formality of style. Styron writes "as any fool can see not" to embarrass those who did not pick up the similarities in tone and style between his Lie Down in Darkness and Warren's All the King's Men, but to fully disclose that he makes no pretenses to originality in these rhetorical features and to pay homage to a literary mentor. English poet John Donne (1572-1631) is probably best known for his widely quoted prose work, Devotions upon Emergent Occasions, which he published in 1624. Donne wrote Devotions to document his reflections while enduring a near-death illness. Devotions artistically validates the expression "our whole life flashes before our eyes when we're about to die." 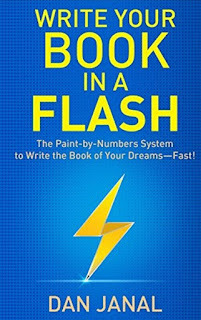 He divided the book into 23 parts, each representing a day of his illness, from his first symptoms to the depths of sickness, to his ultimate recovery. The book is at once a spiritual self-examination, a conversation with humanity, and an appeal to God. The 23 parts are subdivided into 3 parts: Meditation, a representation of his experience while ill; Expostulation, his metaphysical reaction to it; and Prayer, his coming to terms with it. Does a chill run down your spine as you absorb the existential quality of that remarkable sentence? The sheer moral responsibility that Donne holds us to simultaneously overwhelms and inspires. Now if ever a sentence is worth an entire essay, it is that one, and literary critic Harold Bloom does follow it with a treatise on The Bard of Avon's contributions to cultural history. What makes the sentence so pleasurable is its ambiguity. Are we about to read why nothing explains Shakespeare the man? Shakespeare the plays and poems? Shakespeare the legend? And what does Bloom mean by "explaining away" Shakespeare? Where Shakespeare stands in the pantheon of drama and poetry giants? How to position him in the history of English literature? Whether we should discount his status at the beginning and center of all English prose? Read the chapter "Cervantes and Shakespeare" to find out. An important point to make here: While business and technical writers should avoid ambiguity in their messages, such is the stuff of great fiction, drama, and poetry. It is the mix of ambiguity and realism that inspires us readers to imagine ourselves as Don Quixote or Juliet Capulet as we experience the composer's words. Speaking of resolutions, this, the 825th post of this blog, celebrates the fourteenth anniversary of launching WORDS ON THE LINE. When I began this blog on January 4, 2005, I modestly resolved to post at least once a week about practical tips, useful resources, and inspirational ideas for developing, experienced, and reluctant writers at work, school, and home. This has been a promise kept, and I intend to run the string for a while longer. You can celebrate with me by browsing some of the pages here on topics like book reviews, famous writer viewpoints, email tips, active and passive voice, parallel structure, punctuation, grammar, and much more. I'm a big believer in making resolutions and, of course, sticking to them. My resolutions have been life-changing. I resolved on specific dates to accept a job offer that led me to a 19-year career and other opportunities, to have children, to buy a house, to publish my writing, to obtain a doctorate, to quit my secure job for a successful freelance career, to become a Christian, and to buy a second house, among many other transformative decisions. Don't beat yourself up if you fail to keep a resolution. You're not a welsher or a loser. You're human. Don't wait until next New Year's Day to make the same resolution. If you break the resolution on January 6, then re-resolve on that same day. Stop being a perfectionist. Big deal if you break the resolution on 2 of 365 days. You're still doing far better than if you hadn't resolved at all. Mastery will follow. So resolve now, regardless of when you read this.